Our full-service eye care practice serves all your needs under one roof. We help reduce or eliminate the uncomfortable effects of dry eye. Our experienced team can restore clear, crisp vision after cataracts. Visit our optical shop to pick out new lenses or frames for your glasses. Your vision is one of your most precious assets. Strong, healthy eyesight is what allows you to enjoy everyday life as well as succeed in it. And while the right prescription for your glasses or contact lenses is important, it is not the only factor in good eye care. 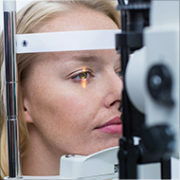 Regular eye exams and checkups with a qualified ophthalmologist or optometrist are essential in screening for eye diseases and problems, even if your vision is sharp. 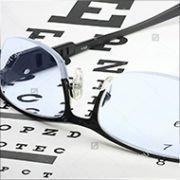 When it comes to your invaluable eyesight, there is no substitution for experience. 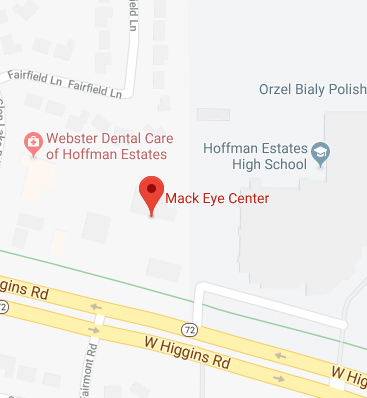 For over 18 years, thousands of patients in Hoffman Estates, Chicago and surrounding areas have entrusted their vision to Mack Eye Center. Led by Dr. Robert J. Mack, our team is dedicated to providing the latest technology, surgical skill, knowledge and comfort to each of our patients. Our team is comprised of highly trained and experienced ophthalmologists and optometrists that strive to deliver comprehensive, quality eye care to improve patients’ vision and quality of life. We invite you to discuss your eye health or vision concerns with our trusted team of doctors. If you live in the Hoffman Estates and Chicago areas, please contact our office by calling (847) 755-9393 today. Bladeless cataract surgery, a laser-based procedure that offers more precision in cataract removal than traditional methods. Keratoconus treatment for restoring vision caused by a misshapen cornea. Dry eye treatment, including intense pulsed light therapy to manage chronic dry eye irritation. 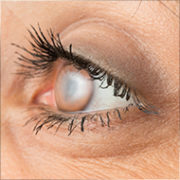 Corneal treatment to address eye problems caused by damage to the cornea. Refractive surgery including bladeless LASIK and PRK to restore good eyesight. Retina surgery to repair a detached retina and preserve vision. Regular eye exams to maintain eye health and screen for underlying diseases. Facial rejuvenation with Botox and eyelid surgery. Whether you are in need of glasses, are experiencing eye problems or are due for a regular eye exam, our trained and experienced team of ophthalmologists and optometrists are dedicated to help you achieve healthy eyes and optimal vision. To schedule a one-on-one consultation with Mack Eye Center, please call (847) 755-9393 today. Don’t forget, we have early morning, evening, and same day appointments often available! The Mount Prospect office is now closed.